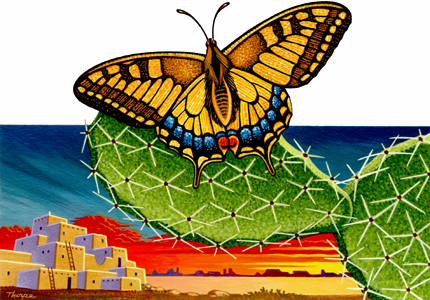 Cover art for the 1999 HarperCollins paperback first edition of Butterfly Lost by David Cole. Illustration by Peter Thorpe. 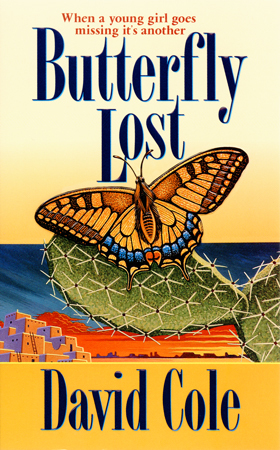 Cover of the 1999 HarperCollins paperback first edition of Butterfly Lost by David Cole. Design and illustration by Peter Thorpe. The HarperCollins paperback first edition of Butterfly Lost by David Cole was released in 1999. Design Directors: Gene Mydlowski and Carl Galian. Design and illustration: Peter Thorpe.